OK, so I spent a couple of days cleaning out the storage above the garage. I found a few items I had forgotten about. None of this stuff I plan on ever using and really don't want to just put away again. If there's anything here anyone wants, all I ask is a fair offer and shipping. I'm not trying to get rich off these. Just want to see them get used instead of collecting dust in my attic. 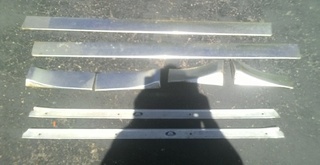 This is the original spare from my 77 El Camino. 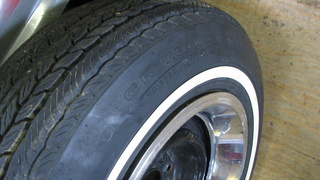 Firestone GR78-15. Actually appears in decent shape. Holds air and no obvious signs of rot. Don't know if I'd use it, but it's a nice add for anyone doing a serious restoration. 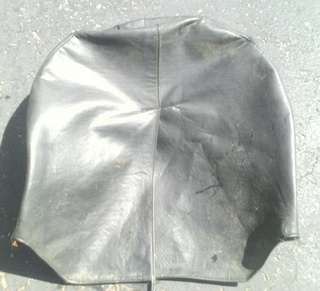 I also have the original spare tire cover and jack, which are both in decent shape. 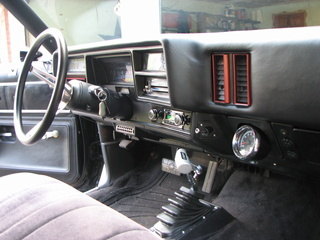 77 air duct for 2bbl, cruise control parts with most of the harness (minus speedo cable and on/off switch), throttle linkage bracket w/cruise cable mount, dash bezel in decent shape (has scratch in the speedo lens), column shift linkage, EC spare tire/jack mount hardware, vacuum harness for A/C car heat controls, driver side duct and some duct brackets (appears someone cut a couple rocker switch holes in the duct, not noticeable when mounted though), EC storage tub gasket, EC map light, visors (not perfect, but repairable), 2 styles of visor mounts, front turn signals from I believe a 74 Chevelle. I'm interested in the vacuum harness. I will PM you. 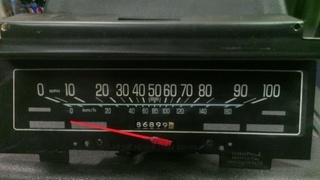 Interest for the dash bezel. Pm send! 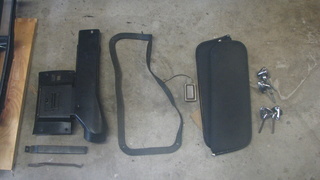 Forgot to mention, I also have an A/C car dash cover (black) in very good condition and some of the EC bed trim that's in fair condition. 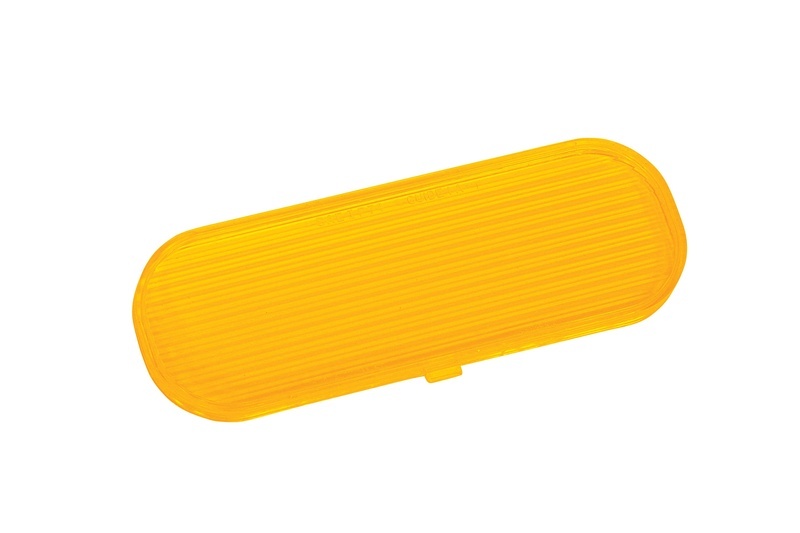 On Dash cover Bill, Is that Dashcap or Factory dash ? Sorry, dashcap. I just had my dashtop redone at a local upholsterers and don't need the cover-up any longer. 77ElClassic wrote: Sorry, dashcap. I just had my dashtop redone at a local upholsterers and don't need the cover-up any longer. Do you like the upholstery job on your dash. I want to do the same thing, my dad have is upholstery shop! I'm happy with the upholstery job. 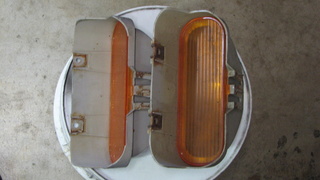 Especially when compared to the condition my dashpad was in or to the looks of a dashcap or cover. It now has an overly plushy feel, there's no speaker grill or a place for the dash badge. 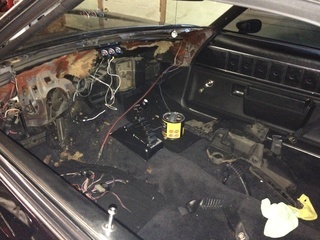 But the expense of a replacement was not an option at this time, and I was getting antsy to finally get the interior completed. The upholstery work cost $89.00 and for another $12.00 he fabricated an upholstered rail to lay in the small "shelf" under the EC's rear window. For the price, I'm very pleased. 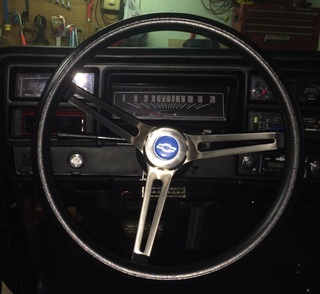 Did you have to remove the dash to have it done? This only took a few hours. I believe there is a good article on this site with directions. Hello! 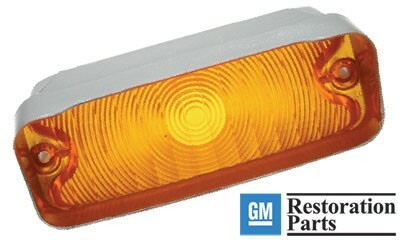 I'm interested in price for front turn signals if they will fit 74 elco bumper. I need to compare but I think it's the same shape. builtnotbought wrote: Hello! 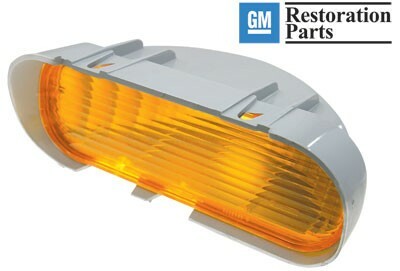 I'm interested in price for front turn signals if they will fit 74 elco bumper. I need to compare but I think it's the same shape. I'll post a picture of the other set I have. I'll just need a day or 2 to dig them out of the shed. 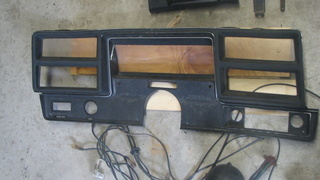 I can't remember if the difference is model years or because of the differences between the Elko and Chevelle bumpers. 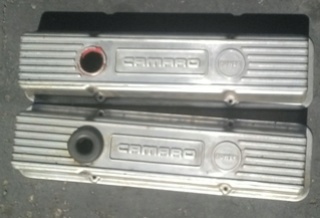 I believe Chevelle front bumpers have a steel beam mounted within where as the Elco's are hollow. The set shown above in this thread have a deep overhang on the top which causes a deep recess into the bumper when mounted. 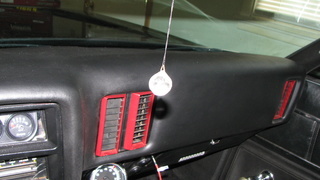 The other set I have mount much shallower and are similar to what's installed on my 77 Elco. I have one lense broken with stone so I have 2 ways, buying new lenses and somehow reinstall them or buying used full housings with lenses, that depends on items price that's why I asked. Based on your research, I have a pair for the 74-75 and another pair for 76-77. The lens on the 'deep' set seem in good shape, but there are a few hairline cracks around one of the mount holes on one of the housings. PM sent concerning your request. 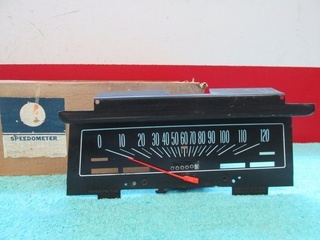 I found a 120mph sweep speedometer on eBay that was advertised as an unused NOS with a broken head. I took a chance and bought it and luckily it was exactly that. It merely needed a new needle. I like this much better than the 100mph speedo with kph line. 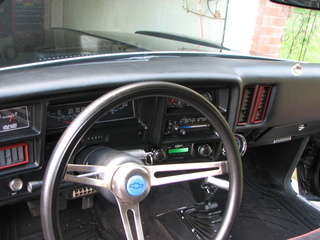 Black lower door panels with power lock buttons. Decent, but right side has some broken tabs that hold the upper panel in place. Also arm pads need touched up. EC spare tire cover - decent. 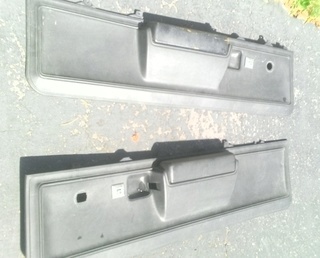 77 EC body molding and door sills. I imagine these fit 2 door Chevelles too. 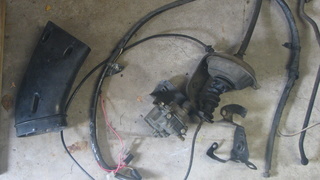 And these if anybody wants them for a different project. 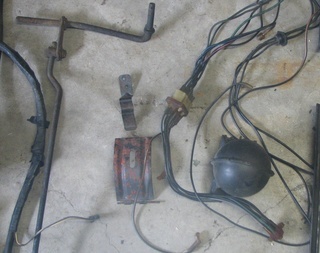 Many of the items listed earlier are still available as well. 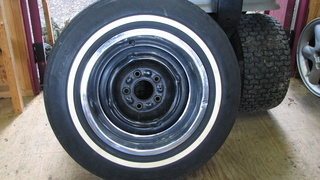 Pm sent regarding the spare tire cover.